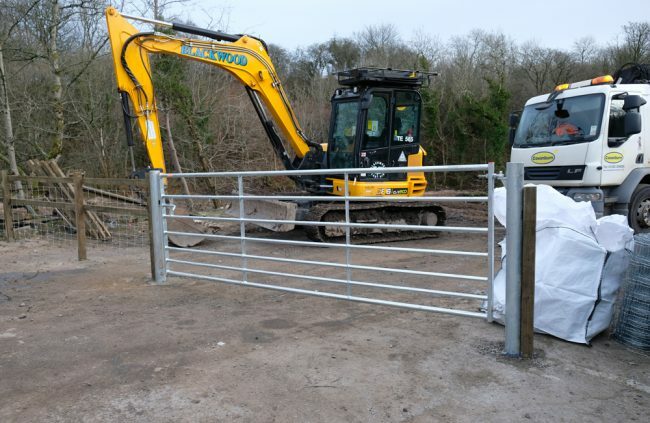 Contractors plant and machinery awaiting collection. The site has been secured and awaits the owner’s next project…a house? 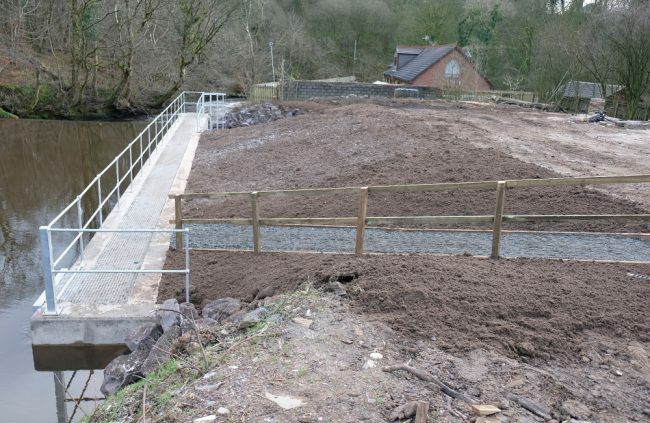 Contractors were finishing off their work at Sevenacres on the Lugton Water today. 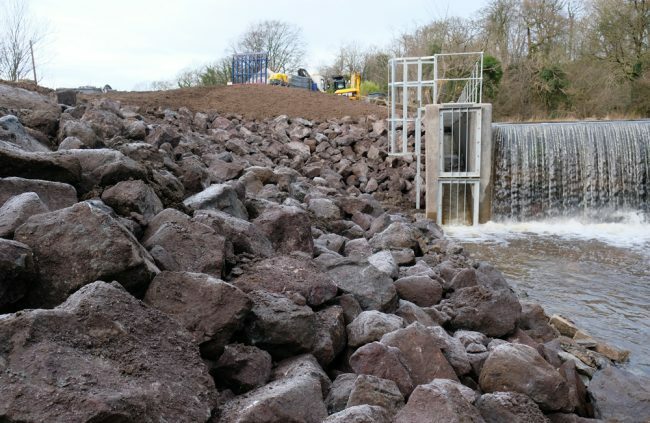 Despite difficult weather conditions and other problems encountered, they have completed their task and provided improved fish passage for the first time in several decades (since the old fish pass collapsed). This weir has been in place for at least 161 years and probably a lot longer than that. 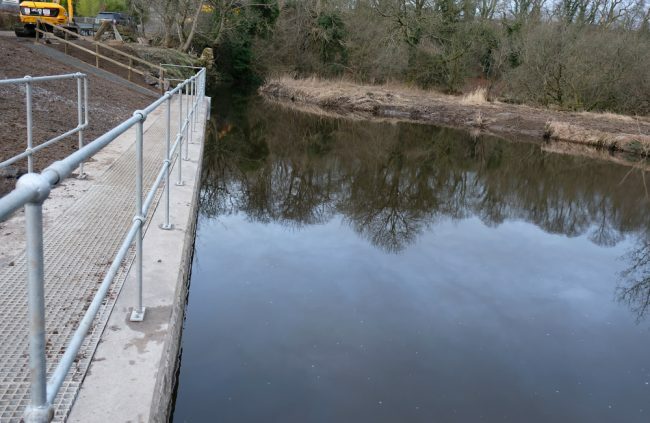 We now have a fish pass that should allow salmon and trout to migrate up and downstream of this weir without too much difficulty. Eels will also be provided for later this spring when ART will bolt on a dedicated eel pass to the side of the concrete structure. Rock armour to protect the bank in high water. Our thanks go to Covanburn’s team who toiled through difficult times but delivered the goods in the end. Also, we’d like to than Royal Haskoning’s designers and engineers for their support and input. Finally, we couldn’t have delivered this without SEPA’s WEF team who secured the funding and guided us through what was a pretty massive construction project and financial undertaking. 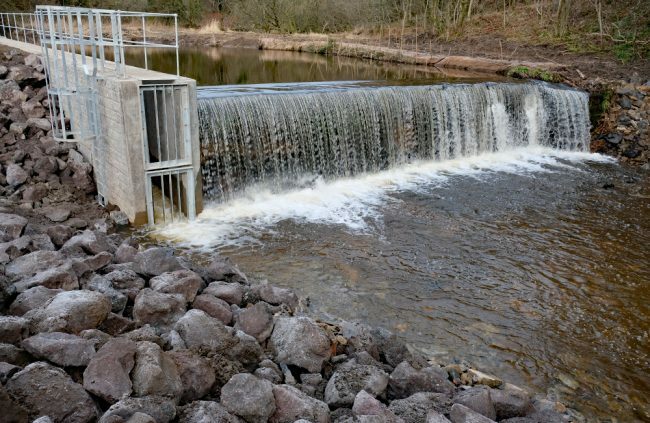 ART drove for a fish pass here for many years and it seems fitting that the project was completed at the start of 2019…The International Year of the Salmon. Finally, I’d like to thank Muir Glendinning and Gillian McIntyre from ART who oversaw our environmental obligations, handled daily project management and financial matters expertly. It looks great, Fantastic work by all concerned.